I picked up this book, alongside I'll Give You the Sun, when I first began my mission to read books with LGBT+ characters. Obviously, both John Green and David Levithan are popular authors and so, although I had only read The Fault in Our Stars before and I'd not yet read anything by Levithan, I had hopes for this novel. There were so many aspects of this storyline which made it enjoyable to read, but unfortunately, I found it more problematic than I did fun. 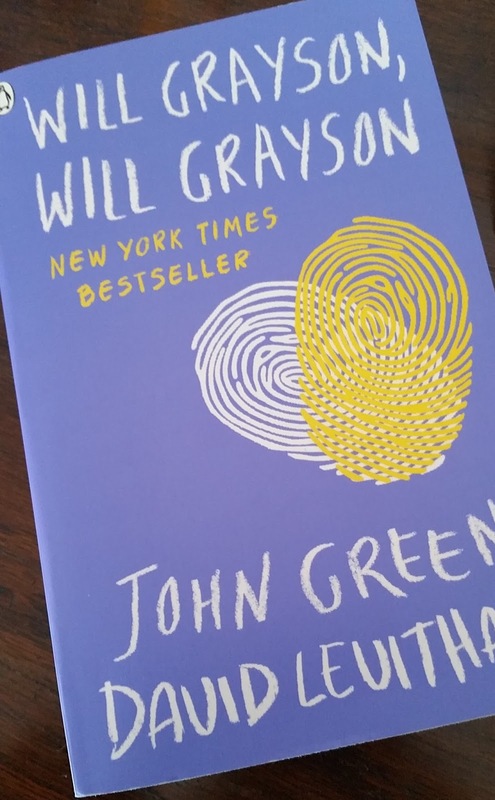 This is a book about two guys, both named Will Grayson, who meet one night under unforeseen circumstances and from then on their lives are intertwined. Will Grayson No.1 is just your normal guy really, he's the only straight member of his schools Gay-Straight Alliance and he's got a crush on a girl called Jane. 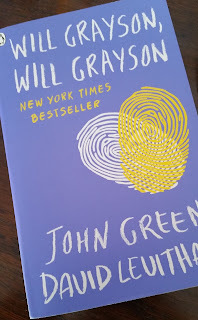 Will Grayson No.2 comes from the Suburbs of Chicago, fancies a guy who he met online, named Isaac, and is not popular in school but has one close friend named Maura who is interested in more than a friendship. Will No.2 also has a diagnosis of depression and his character is struggling a lot with life, which makes him a much more interesting and relatable character, for me at least. 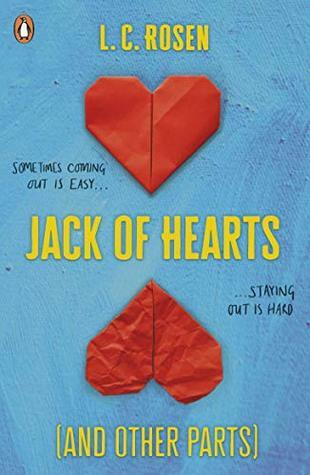 The novel follows the two boys storylines in alternating chapters as they deal with the issues of being a teenager; having both a homosexual and a heterosexual character means a lot of topics are covered within a comparatively small number of pages. You're probably wondering why I've only given this book a four out of ten, and before I say this I must clear up that this is purely personal to me and is by no means a reason for you not to read it! The main issue I had, and this may just have been the way the authors wanted their character, was that the first Will Grayson was just, rude! On more than one occasion, he makes comments about how he "isn't asexual or anything" making it sound like being asexual (FYI an individual who doesn't experience sexual attraction towards other people) is a bad thing. I'm sorry Will but no, as someone who identifies as asexual myself (and who is VERY passionate about making sure everyone understands and respects asexuality) I cannot put up with anyone, even fictional, making it sound like it would be bad to be ace. In general, the storyline is good and it was an enjoyable read, unfortunately the fact that one character was somewhat rude about my sexuality meant that it wasn't a good fit for me. Apart from that fact it was very good and I would recommend it; especially if you are looking for an easy read featuring more than one gay character. End note: I'd be interested to know if I'm the only person who found these things frustrating when they read it so please respond in some way if you would like! I actually loved Will Grayson Will Grayson. I did have some problems with how the authors characterized their characters but I didn't find it too distracting. However, I understand how one character can really ruin the overall plot of the book. I've seen it so many times books. Thanks for your comment, I'm glad that you enjoyed it! It's shame that I did find it such a distraction really but I suppose we all have certain things that we can't help but get annoyed by!